U.S. Attorney Josh Minkler has announced that two men are facing federal charges for their role in stealing Humvee vehicles that were meant to be destroyed and sold for scrap. 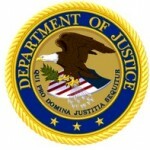 Richard S. Treloar, 63, St. Louis, Missouri, faces seven counts of conversion of government property and seven counts of false statements; co-defendant Mark W. Collier 52, Bedford, Indiana, faces seven counts of false statements. Treloar owned a St. Louis based company called Treloar Enterprises International, Inc. (TEI) which contracted with the Department of Defense’s Defense Logistics Agency (DLA) to demilitarize military vehicles, mostly High Mobility Multipurpose Wheeled Vehicles commonly known as Humvees. The Humvee is a four-wheel drive military light truck capable of being outfitted with armor, ballistic glass and high-powered weapons and is currently being used in the Iraq and Afghanistan theaters. As part of Treloar’s contract with DLA, his company was responsible for demilitarizing the Humvees which would include eliminating the functional capabilities and inherent design features of vehicles. In many cases, that included the total destruction of the Humvee. When the Humvees were demilitarized, both Treloar and Collier verified in writing that the process had been completed. From January 2014, through November 2015, TEI took delivery of all Humvees from Naval Support Activity Crane (Crane) which is located in Southern Indiana. To facilitate the contract, TEI opened a facility in nearby Spencer, Indiana, where the purported demilitarization took place. The indictment alleges Treloar converted at least seven fully armored Humvees for his own use and sold or attempted to sell them for his own benefit. The value of the Humvees was over $589,000. Both defendants also certified that each and every Humvee was demilitarized, when in fact they were not. 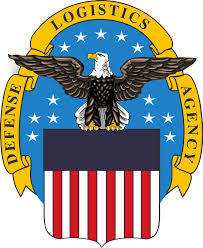 This case was investigated by DoD’s Office of Inspector General-Defense Criminal Investigative Service, Naval Criminal Investigative Services, and Defense Logistics Agency’s Office of the Inspector General. Assistant U.S. Attorney Bradley P. Shepard who is prosecuting this case for the government, said Treloar faces up to 10 years’ imprisonment on each count of conversion of government property and Collier faces up to five years’ imprisonment on each count of false statements. In October 2017, U.S. Attorney Josh J. Minkler announced a Strategic Plan designed to shape and strengthen the District’s response to its most significant public safety challenges. This prosecution demonstrates the Office’s firm commitment to prosecuting complex, large-scale fraud schemes, particularly those that exploit positions of trust.